I have been ordering these annually for many years. The quality always remains high. 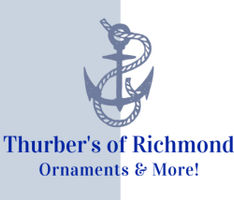 I always purchase my annual Wallace Candy Cane ornament from Thurber's of Richmond. I am very pleased with their customer service!